The PPC Team at Milestone is offering Yelp CPC to help our clients capitalize on their existing Yelp listings. By bidding on your existing Yelp ad, we will be able to control where your property’s Yelp ad shows in the Yelp search results, primarily ensuring your Yelp ad shows in the top of the search results for your geographic area. By bidding to your Yelp ad to rotate into the top of the search results, your hotel property is increasing competitive exposure and visits to the site. So you have a distinct hotel site, increased Yelp ratings, and awesome Yelp reviews…why not make sure you are boasting your stars and bars over your key competitors? In increasing competitive exposure, we are offering Yelp CPC to take your high ratings and reviews to the next level, targeting searches based on demographic, price and amenities. In addition to increasing visibility, and availability of Yelp CPC on any device, we will be able to track the basic Key Performance Indicators such as impressions, clicks and CTR%. When & How to Get Started? 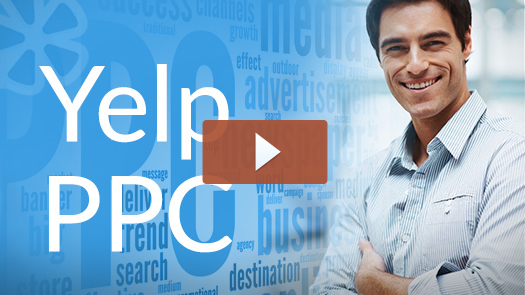 Contact your PPC Account Manager to get set up! Please expect a 2-week lead time for set up and launch of Yelp CPC ads, as well as a minimum monthly investment of $300.